Posted By:Unknown | At:9:14 AM Be the first to comment! 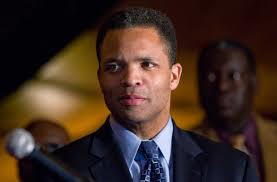 Former Illinois Rep. Jesse Jackson Jr. has been moved from the federal prison in North Carolina to a minimum security prison camp in Montgomery. The former Chicago congressman had been advising other inmates in North Carolina about their rights in prison, according to the source, who said a guard took exception to that. As a result, the longtime South Side politician was placed in solitary confinement for four or five days more than a month ago, the source said. A hearing was held, the source said, and Jackson was cleared of any wrongdoing and asked for a transfer to another prison. The source said family members were concerned about Jackson’s welfare after the incident and went to visit him in prison. It took about a month for the transfer to go through, the source said.